The endoscopic Brow Lift is the new Eye Lift because it refreshes the eye area without removing skin from the upper eyelids. I was very, very pleased with Dr. Rodriguez and his whole office. They were wonderful to me. With the endoscopic Brow Lift procedure, there is no long scar, and no hair loss. Dr. Rodriguez in Baltimore has 20 years experience performing this procedure which refreshes the face and lifts upper eyelids. The Brow Lift procedure is performed in two hours under IV anesthesia. Dr. Rodriguez performs this procedure in his AAAASF accredited surgery center located in Baltimore, Maryland. The Brow Lift procedure achieves a refreshed look by altering the balance between brow depressors and brow elevators. Patients depicted in our Brow Lift gallery have provided their written consent to display their photos online. Every patient is unique, and surgical results may vary. Please contact us if you have any questions. 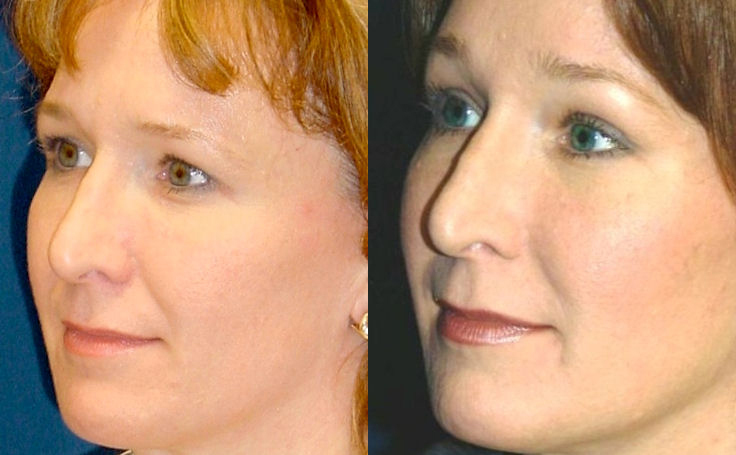 Facelift: What are the goals of a great face lift? 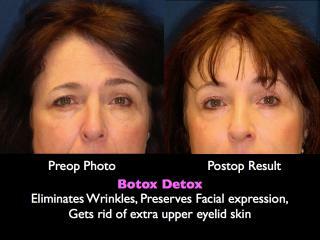 Botox Addiction: the Browlift is your Botox Detox! Dr. Rodriquez and his staff are very kind and attentive. I thought I would be self-conscious around them (since I don't have anywhere near a 'perfect body') but they set me at ease and I actually enjoy my follow-up visits. They all always seem happy to see me.